The Changing Workplaces Review that kicked off an overdue discussion on raising wages was supposed to recognize how work has changed in Ontario. Sadly, it didn’t. I publicly committed to a $15 minimum wage in early 2016, and since then, the NDP has been proud to join together with the advocacy groups and unions that led the unrelenting push for a $15 wage. Now, it’s up to Queen’s Park to do the right thing for workers. That means making sure wage increases actually happen — but it also means doing so much more to help the growing number of people in unstable work build stability. The fact is, the Changing Workplaces Review that kicked off this overdue discussion was supposed to recognize how work has changed in Ontario. Sadly, it didn’t. Now, the proposed changes to the Labour Relations and Employment Standards Acts aren’t good enough. Less stable work — like part-time and contract work — is quickly on the rise. Since Kathleen Wynne became premier, the number of people working more than one part-time job has shot up 20 per cent. But the changes now on the table fall short of levelling the playing field for those workers. The bill is riddled with inconsistencies, giving some rights to some, not to others. The NDP is now touring to hear feedback on this bill. It’s clear the bill fails to give temporary, part-time and contract workers more stability — and fails many other workers in other ways. After we’ve heard what people across the province have to say, I’ll be tabling a full package of meaningful amendments. I can tell you now, there are a few issues my amendments will definitely address. First, I believe workers with unstable, part-time and contract work should have access to paid sick and personal emergency days. It’s not right to force a person to choose between taking care of their health, or protecting their budget for the month. Yet, those workers are restricted to just two days per year — meant to cover everything from illness to surgery, a flooded basement at home or a sick child. I’ll be fighting for a reasonable number of paid days to cover illness and personal emergencies. The bill also gives three weeks’ vacation only to those with five years of seniority in a job. That’s too long to wait, given the changed nature of work. And it’s absolutely unacceptable that this bill doesn’t do more to provide support and flexibility for victims of domestic violence. An Ontario NDP motion over a year ago called for those escaping intimate partner abuse and assault to have access to 10 days of paid leave, flexible work arrangements and additional reasonable unpaid leave, if needed. Survivors may need time to get medical treatment both for their physical and mental health, to seek victims’ services or social services, to relocate to a shelter or safe home, and to participate in legal proceedings. That motion passed unanimously. Then was ignored — left out of the new bill. That’s unacceptable. My amendments will also recognize that workers in every workplace should have the right to choose to form a union. A union card is a ticket into the middle class, a promise of fairness and great stabilizing factor in the lives of Ontario workers. Yet card-check certification, union successor rights and first-contract arbitration — all things that help workers to form a union and obtain their first, fair collective agreement — are limited to just some workers in some sectors. Workers and families deserve more stability. This is our opportunity. So let’s do something about it. 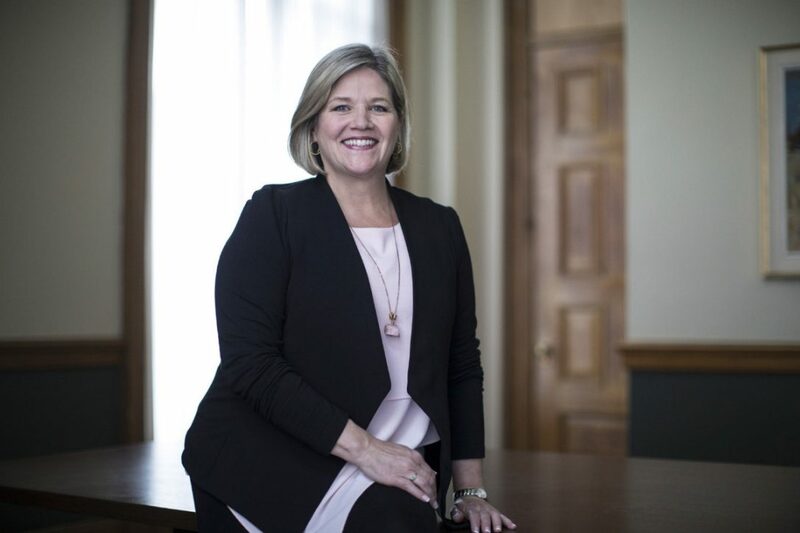 Andrea Horwath is leader of Ontario’s NDP.